More space. More Reps. More Results. You’ve invested in the right equipment for your box, and you know that gym equipment storage has a big impact on your members. It affects your floorplan, the flow of members’ workouts, how members use and care for your equipment, and even the feeling they get when they walk in the door. That’s why we developed LIFT, a complete gym equipment storage system that gives your members more space to work out, faster access to gear, and the best experience possible. LIFT systems are designed to maximize your floorplan and optimize your members’ experience. 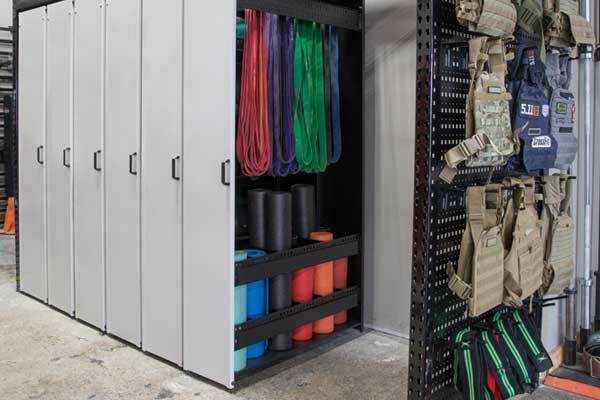 Five modular components work together to provide right-sized storage for every piece of equipment in your gym, giving you and your members more room to work out. 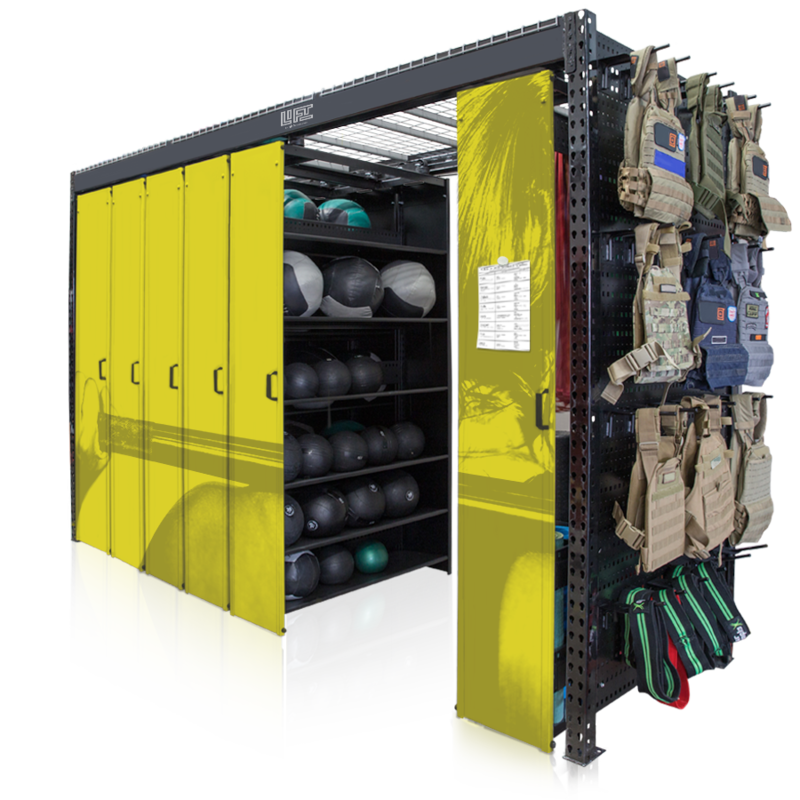 Create a gym equipment storage system that consolidates and protects your equipment. Our patented Compact Shelving system is suspended on an overhead trolley, creating a system that stores the most gear in the least amount of space. Choose your interior configuration and customize the exterior with a variety of colors and accessories. 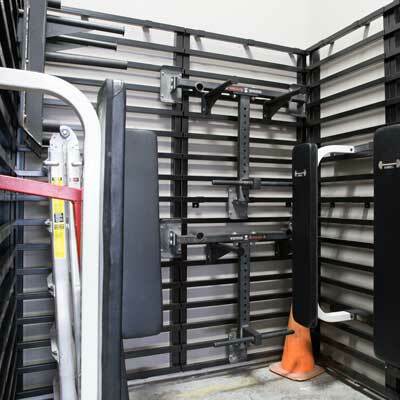 Designed to store heavy loads along your gym’s perimeter, LIFT HD Shelving clears out clutter by packing a lot of storage space into a small area. Keep kettlebells, sandbags, dumbbells, and other gear convenient, without encroaching on workout space. Store sleds and weight benches up off the floor and out of the way. Wall-mounted racks turn empty walls into productive storage, clearing the way for more room to work out. Keep plates organized and in one location. 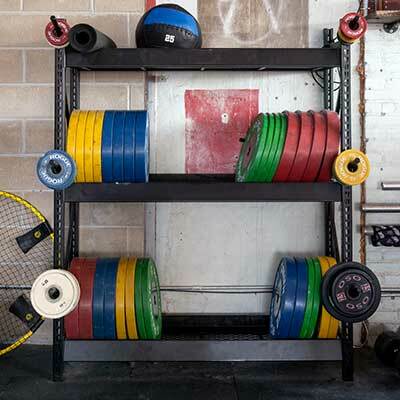 Organize by plate weight with three shelves provided per unit along with pegs for smaller weights. Secure, convenient storage is important for personal gear, too. 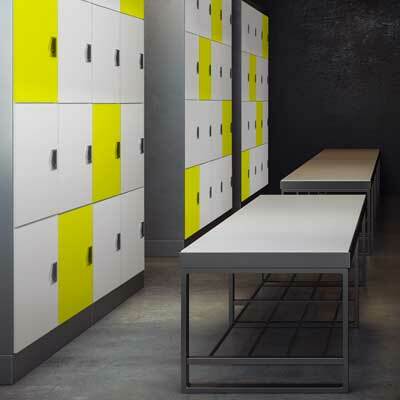 Lockers provide your athletes with temporary or assigned lockers to store keys, phones, and other gear while they work out. LIFT is completely customizable, with a variety of colors/graphics and accessories. That means you can add your brand’s graphics, use it to display the WODs, and add to the system as your equipment needs grow and change. And LIFT can be moved around easily, which is a huge bonus for box owners who are renting their space. 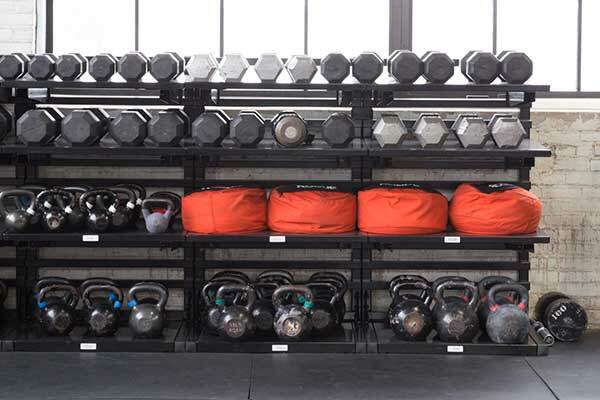 Let’s optimize your space to make room for efficient WODs. Contact us for a free consultation.